Here at LSOZI, we are going to take out every Wednesday for a look at the old steam/diesel navies of the 1859-1946 time period and will profile a different ship each week. Today we see the last of the US Navy’s WWII Essex-class fleet carriers to commission, USS Oriskany (CV/CVA-34). The Big O, a ‘long-hull’ ship stretched by more than thirty feet, was the 24th Essex commissioned with eight of her sister-ships never completed. The Essex class was the USS Nimitz of its day, the most powerful and modern aircraft carrier in the world. Ordered August 1942 during the epic sea battles around Guadalcanal Oriskany was not finally completed and commissioned until 25 September 1950. This was because the end of WWII in 1945 brought a near halt to her construction and then a drastic change to her configuration. 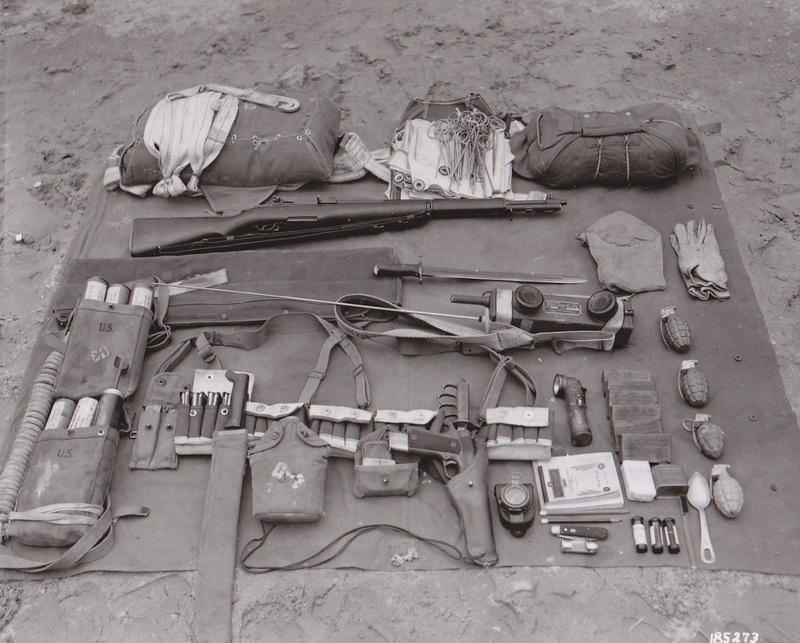 She earned two battle-stars in Korea, her aircraft pounding North Korean and Chinese ‘volunteer’ positions to gruel. 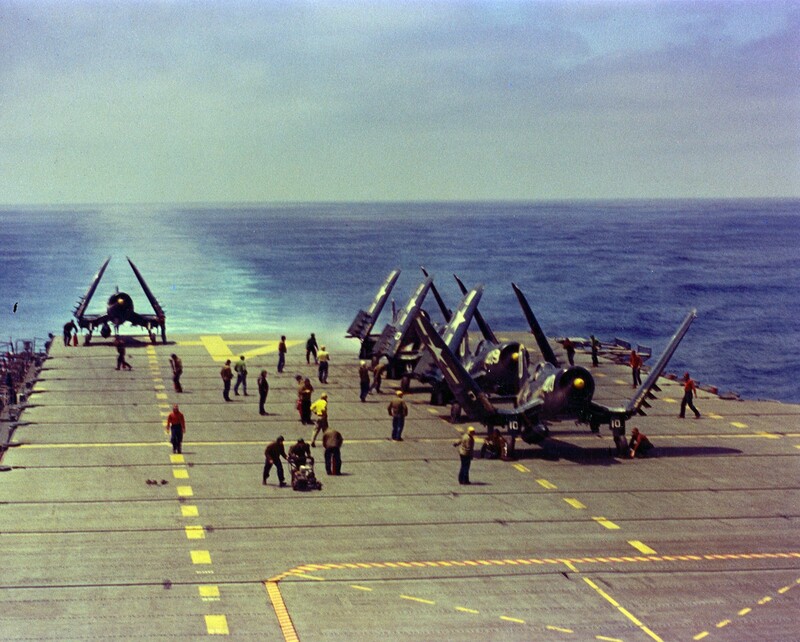 Oriskany with F4U Corsairs aboard off Korea in 1952. I challenge you to find a more beautiful warplane of the 1950s! Oriskany, built as the most modern Essex class in the fleet, was the last angled-deck conversion, received a unique SCB-125A refit which upgraded her to 27C standard, and included steam catapults and an aluminum flight deck in 1959. With Carrier Air Wing 16 aboard, January 1968. Just count all of those A4s and Vigilantes! 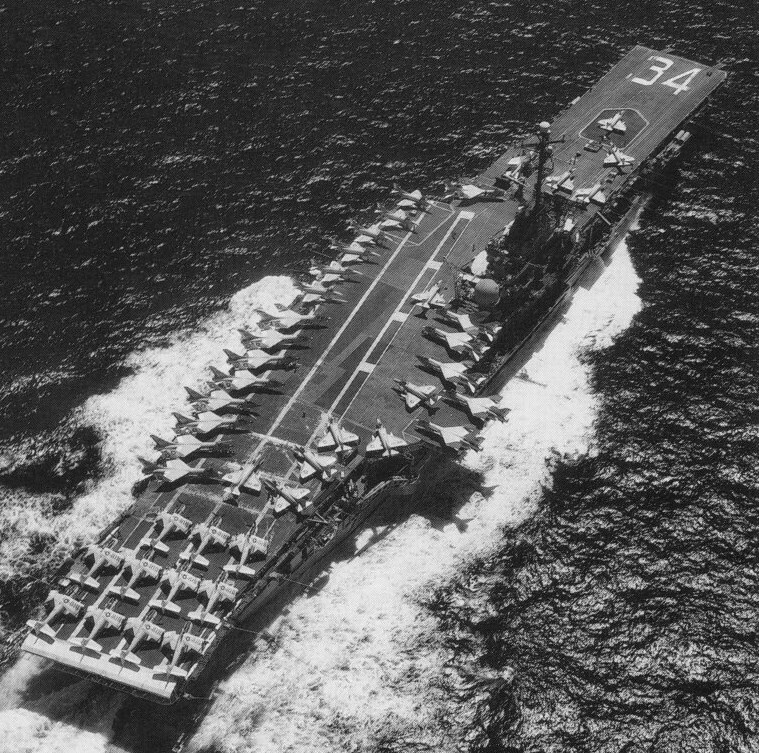 You can see the difference between the angled flight deck here when compared to her 1940s style strait deck seen in the 1955 image scrolling up. 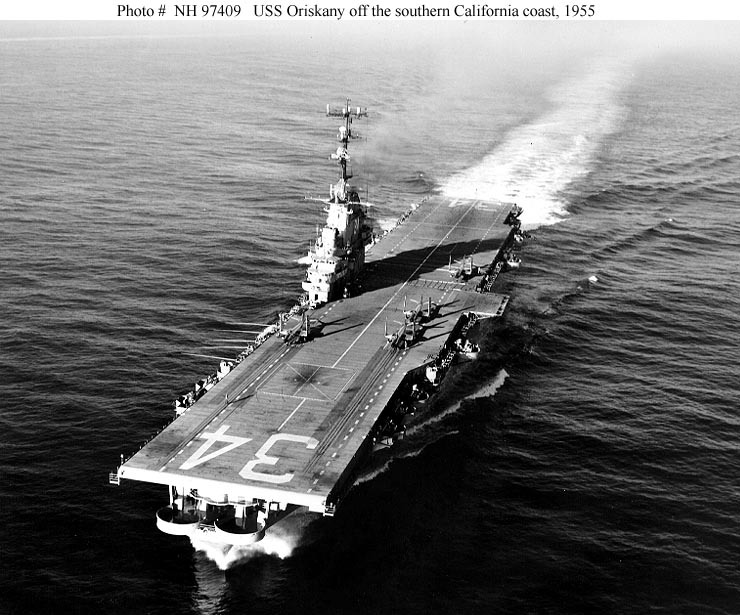 Oriskany deployed to Vietnam six times in the 1960s and 70s, usually with Carrier Air Wing 16 aboard, winning an additional five battle-stars. Between 10 May and 6 December 1965 alone, she carried out over 12,000 combat sorties (60 per day) and delivered nearly 10,000 tons of ordnance against enemy forces. 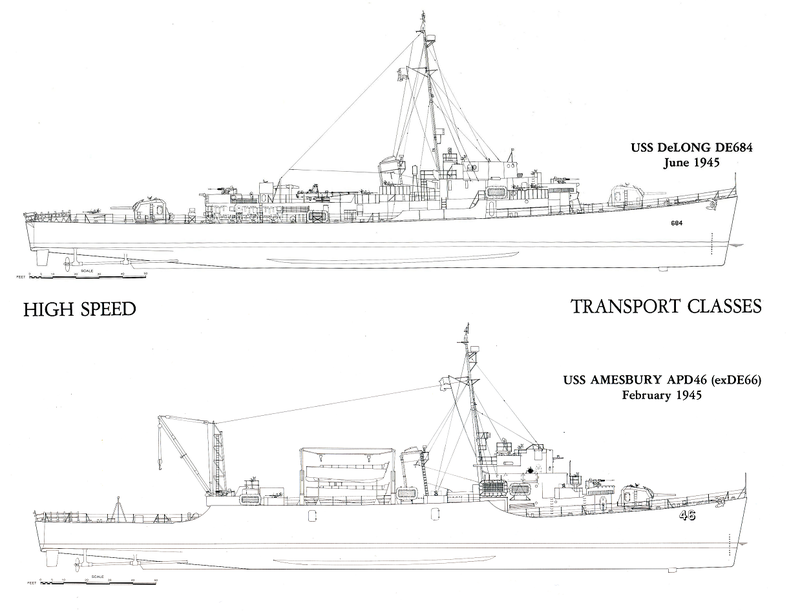 The following ships are visible (bottom to top): USS Wiltsie (DD-716), USS Tappahannock (AO-43), USS Oriskany (CVA-34), USS Mars (AFS-1), and USS Perkins (DD-877). The Oriskany, with assigned Carrier Air Wing 19 (CVW-19), was deployed to Vietnam from 16 April to 17 November 1969. Her 1960s era air wing consisted of two fighter squadrons of F-8J Crusaders, three attack squadrons of A-4E Skyhawks, 4 E-1 AEW Tracers, 4 EKA-3B Skywarriors, and 4 RF-8G photo Crusaders. Not bad for a carrier designed to fly F4F Wildcats. 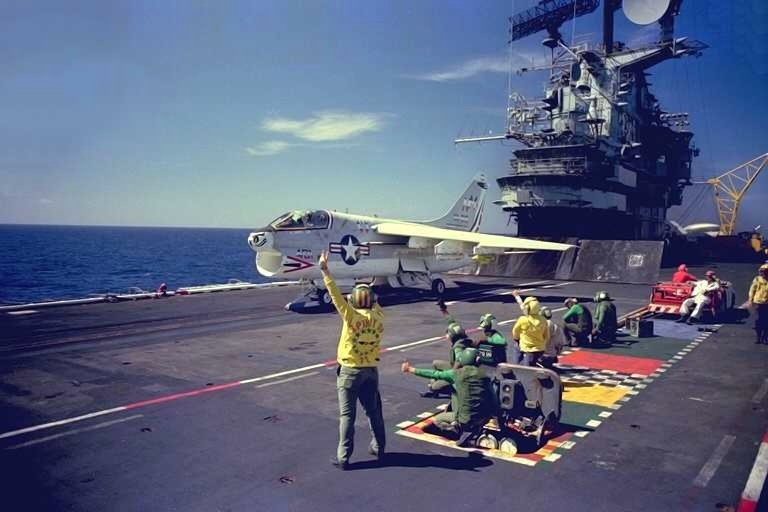 A-7B of VA-215 standing by on catapult of USS Oriskany (CV-34) in 1976. In 1970, the three A-4 squadrons were replaced by two squadrons of A-7A Corsair IIs and the Oriskany became the first carrier in the fleet to use the E2 Hawkeye. The F-4 Phantom II and A-6 Intruder were considered too heavy to operate from the Essex-class, and the ships’ jet-blast deflectors were not liquid cooled, a requirement for operating jets like the Phantom which launched using after burner. The rest of her class being retired in the early 1970s, she was the last Essex-type ship used in regular fleet service as an attack carrier. Her final Western Pacific deployment was from 16 September 1975 – 3 March 1976. An overhead view of a crowd gathered on the pier at Naval Air Station (NAS) Alameda, California, as the carrier Oriskany (CVA 34) returns from her 15th and final Western Pacific cruise March 3 1976. The only one of her sisters to outlive her in Navy service, Lexington, had been designated a non-deployable training carrier (AVT-16) in 1969 and spent the last 22 years of her life qualifying nuggets on T-2s out of Pensacola. Oriskany was decommissioned 30 September 1976 and laid up by the Carter administration, she spent a quiet 13 years in rusty mothballs. 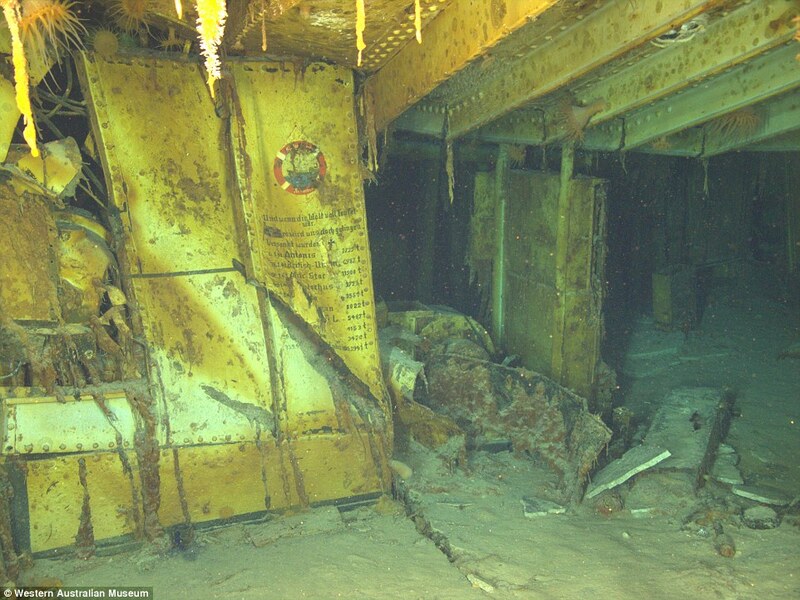 Her condition was so bad in fact that when Regan’s Secretary of the Navy John Lehman, architect of the ‘600-ship Navy’ visited the ship in the early 1980s with an eye to recommission her was shocked at her appearance. She was coated with thick rust and had not only grass but small trees growing on her deck. Nonetheless she still was kept as an emergency mobilization asset on the Naval List until the Cold War ended in 1989 then she was removed. Sold for scrap in 1995 she was repossessed by the Navy two years later when her breaker defaulted. With a 40,000-ton unusable aircraft carrier on their hands, the Navy decided to sink her as a reef. Based on EPA’s approval, after a public comment period, the ship was towed to Pensacola, FL in March 2006 for final preparations for sinking under a Navy contract. A team of Navy personnel accomplished the sinking of the ship on 17 May 2006, supported by the Florida Fish and Wildlife Conservation Commission, Escambia County Department of Natural Resources, the U.S. Coast Guard, the Pensacola Police Department, and several sheriff departments of Escambia County and surrounding counties. A Navy Explosive Ordnance Disposal team from Panama City, FL detonated C-4 explosive charges of approximately 500 lb (230 kg) net explosive weight, strategically placed on 22 sea connection pipes in various machinery spaces. 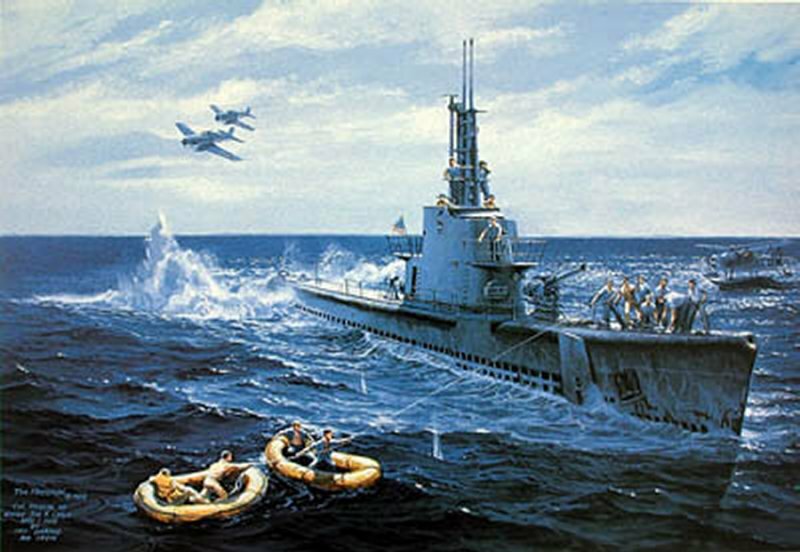 37 minutes after detonation, the ship sank stern first in 210 ft (64 m) of water in the Gulf of Mexico, 24-miles south of Pensacola– the cradle of US Naval Aviation. 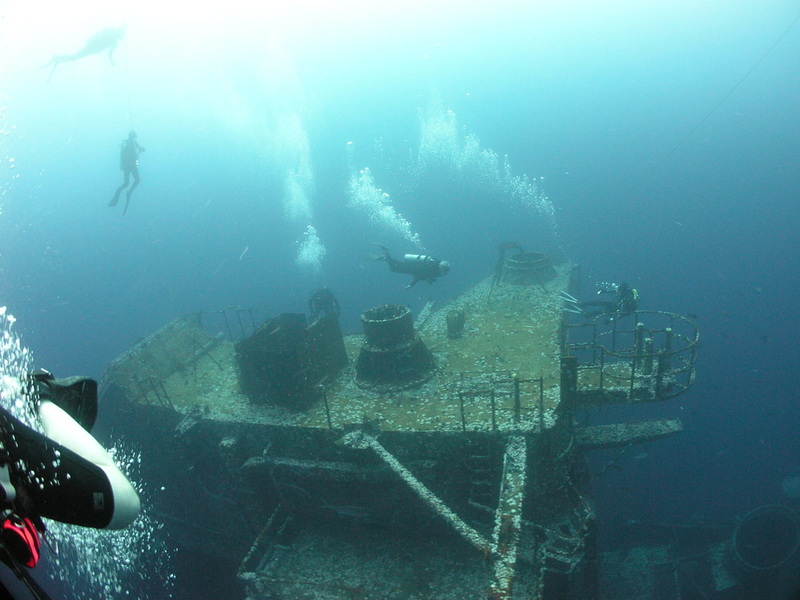 Today she is one of the most popular dive destinations in the Gulf. They are possibly one of the best sources of naval lore http://www.warship.org/naval.htm The International Naval Research Organization is a non-profit corporation dedicated to the encouragement of the study of naval vessels and their histories, principally in the era of iron and steel warships (about 1860 to date). Its purpose is to provide information and a means of contact for those interested in warships.